RC1 is a report card. To use it, view the following image and instructions look at it, print it. There is one thing you can do. 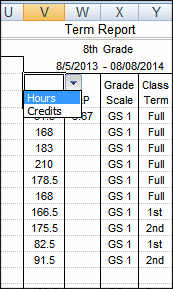 Choose to display either credits or hours via a drop-down list in cell V4. If you need to print a report that shows both credits and hours, then print the student’s Transcript which would be either Transcript1, Transcript2, Transcript3 or Transcript4. 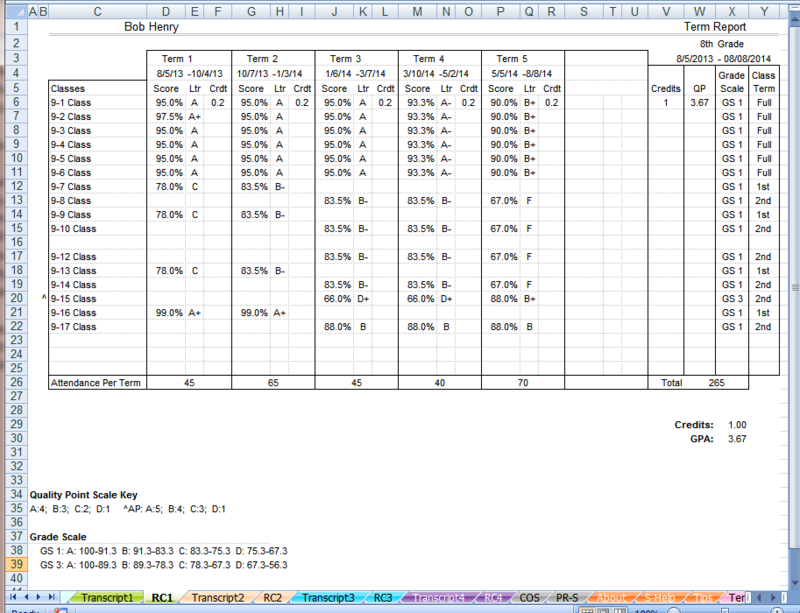 The Bump column is on the S-Sheets and it gives you the ability to manage dates for the Date System and when plans end during a term.